It is increasingly evident that new technology inspires new learning methodologies. This circumstance is especially clear in language learning: self-training models, 100% online models, and Blended learning models such as Flipped Classroom which encourage interaction, collaborative learning, and a change in the traditional role of the teacher and student. 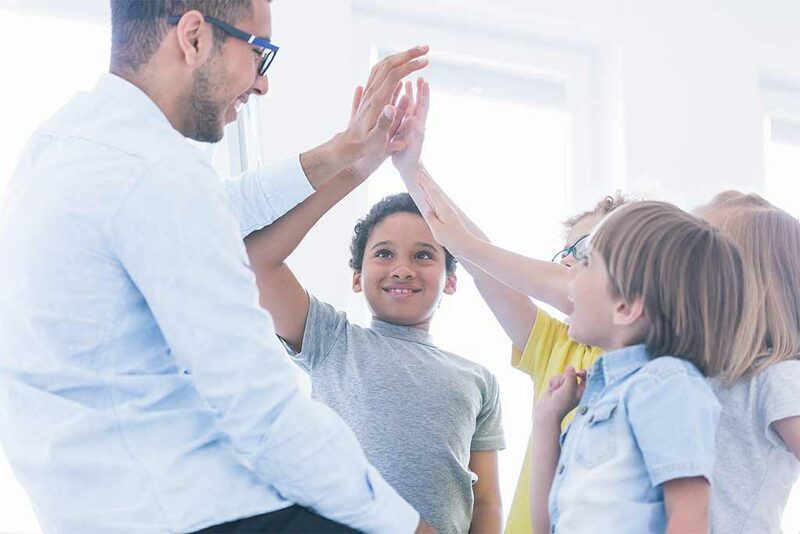 However, the teacher’s new role as a facilitator, streamlining learning and coaching, demonstrates that their presence is still very important. The value of presential teaching. Presential learning, face to face, continues to bring value to education. Teachers and students need each other. Presential learning requires the best of each party: it encourages the qualities of each student and conveys the teacher’s capacity for empathizing and involving the student in the learning objectives. In fact, it seems that new technologies have not advanced to the level of replacing the teacher – quite the opposite. This is the case with Classroom Companion, the new courses developed by Dexway to encourage presential training. All Dexway technology and experience, applied to presential training. Dexway has spent over 35 years understanding the reality of language training: the needs of centers in terms of content and management, the concerns of teachers, their preferences, their methods, and their daily professional life; and, of course, the obstacles and qualities that students face when approaching a language course. All this knowledge of day to day aspects of language teaching has allowed Dexway to enhance its RD&I division and its technology, developing customized products and resources, from its capacity for offering global solutions in language training (advanced platforms and a wide range of courses). This vision of teaching is what has led to the generation of Classroom Companion courses; while e-learning methodologies and courses make learning dynamic and flexible, presential teaching has an unquestionable place in schools and universities. Why not combine both aspects? Why not also bring innovation to presential teaching? In the new courses developed by CAE, the teacher is re-established as central to learning. However, instead of returning to traditional teaching, they are surrounded by resources and facilities which allow the course to be adapted and customized to their teaching style. Primary� Version at levels A1, A2 (ages 7-12). Adult Version at levels A1 to C1. All lessons are taught with a “Scope and Sequence” structure, and in line with the Common European Framework of Reference (CEFR). In each lesson, the corresponding learning objectives are established. In this way, Dexway Classroom Companion offers a solution for any student profile and any teaching center. The most notable quality of the new Dexway Classroom Companion is the possibility for personalization. The teacher can move lessons, delete them, change them, and add their own lessons, ultimately adapting the content to their way of understanding the course, their priorities and the needs of their students. Dexway Classroom Companion is thereby presented as a flexible solution for adapting content to the requirements of the class. The Dexway� Classroom Companion courses have been developed in accordance with a presential format, following the requirements of the Common European Framework of Reference for Languages, as well as the requirements for complying with educational curriculums of Primary and Secondary schools. That is, its content is designed for a context in which the students have the teacher’s explanations. For example, in self-training courses, to prevent obstacles and to motivate the student, the lessons usually begin with vocabulary and progress through more complex phrases and expressions. With the new Dexway Classroom Companion the student has the explanations and support of the teacher, so that they can begin with the more complex concepts and phrases and finish with more specific vocabulary or content. With Dexway Classroom Companion, the teacher takes control. They decide the content to provide in class, in what order, and how. They become central to learning and a point of reference, with resources that allow this. Dexway Classroom Companion is specially designed for teaching centers, but its effects may also be very effective in language schools, because due to its presential nature it is particularly suitable for retaining students. Classroom Companion guarantees consistency, a pace of learning, and, of course, greater possibility of achieving learning objectives. Ultimately, Dexway has taken a step forward in innovation for language learning, providing the presential format, resources and options for personalization which now use the most advanced online and Blended methodologies.